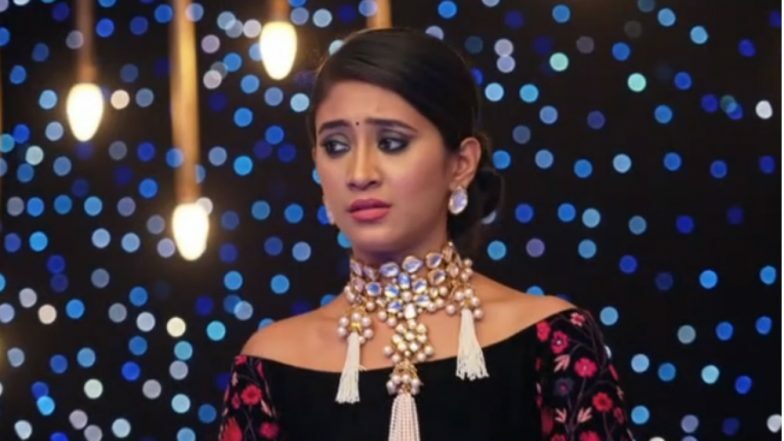 Yeh Rishta Kya Kehlata Hai April 8, 2019 Written Update Full Episode: Will Naira and Kartik Manage to Keep Gayu’s Pregnancy a Secret? Today’s episode of Yeh Rishta Kya Kehlata Hai starts with Suhasini asking Devyani whether it is too early for the proposal as till now Gayu is not come out of her trauma. Surekha says the final decision will be of Gayu’s only. Just then Gayu comes with Kartik (Mohsin Khan) and Naira (Shivangi Joshi) and announces that she is ready for the marriage, all are happy listening to this. All wish Samar and Gayu with their blessings. Suhasini says Surekha that she feels something is wrong as for how so soon Gayu agreed for the marriage, Naira overhears them. Meanwhile, Naira tells Kartik that Suhasini is getting some doubts so they should tell her before anyone else does. But Kartik says Samar knows it who is marrying Gayu, so why others should know about it. Just then Rama comes and tells them not to tell now, as all is going good but Naira says that they should tell the truth as afterwards Gayu may face the problem. Naira and Rama argue over this, Kartik also says that they should tell Suhasini about this, Suhasini comes and ask what is the matter, Rama changes the topic and tells that they were discussing about the date of the marriage and she wants it to happen as soon as possible. Purushottam is playing with the kids, just then Manish and all come home and tell that Gayu has accepted the proposal. Kartik says that they have to do it in a simple way and as soon as possible as Rama has to go back also. But Suhasini says she does not agree to this and that for the marriage of Samar she had planned so many things, Samar says that he also wants it in a simple way and as soon as possible. But Suhasini says that she wants the marriage to be done with all the rituals. There Devyani sees Rama writing down the dates for the marriage and ask why so early, but Rama says that it should be in a simple marriage. Devyani says that they should do it with all the rituals and enjoy the wedding. There Naira is in tension as what will happen if Suhasini comes to know, Kartik tells her everything will be fine and she should not take any tension. There Suhasini tells Surekha that they will take the chunri for Gayu and find out what are they hiding from them and she will make it a point to find out. Purushottam comes to Kartik’s room with Luv and Kush and tells them to join for eating ice-cream. Just then Kartik gets a call and says he has some work and tells Naira to go with them to have ice-cream. Naira says sorry as Luv and Kush cannot have it as they have a throat problem. Naira thinks she should tell Kartik about this. There Suhasini and Surekha come to put chunri on Gayu, Surekha goes up to find out the truth, there Naira is telling Gayu that if she is not ready they can postpone the marriage but she says she is ready for the wedding. Just then Surekha comes there, Naira sees her and wonders if she has come to know or not. There Surekha comes to Suhasini and tells that they are hiding the truth but she could not find out about it. The rituals start and Suhasini gives Gayu gifts and blessings. Suhasini tells that they want the marriage to be done with all the rituals and functions and do a grand wedding. In the precap, Naira brings tea for Purushottam and shouts, Kartik comes there.